If you’re planning to move, you probably have a lot on your mind. In addition to keeping track of everything that needs to be done, it’s only natural to have a few worries cross your mind. Here at Smooth Move, we’ve helped hundreds of families get a fresh start. Here are four of the most common worries people have about moving—and how our local movers can help. 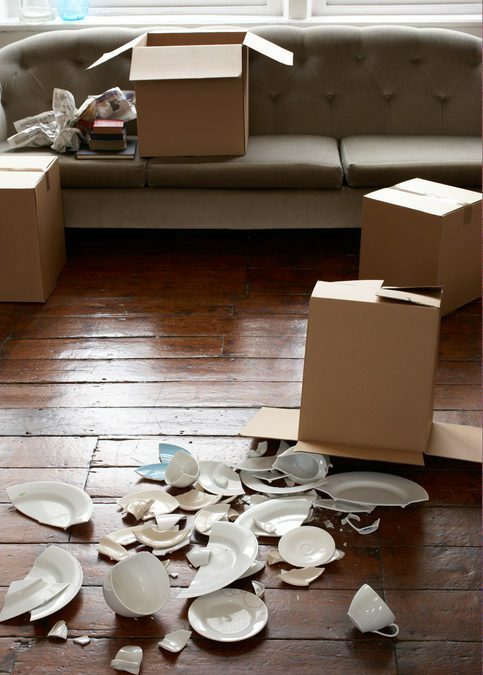 Damage to your belongings: There’s no worse feeling than discovering that your favorite dishes (passed down through generations of family, no less) were broken during a move. Antiques and heirlooms can’t be replaced, but neither can sentimental items like photos. Your best bet is to hire professional local movers to pack everything and get it to your new location. Disagreements with family: It’s said that moving is one of the most stressful situations a family will ever go through. Planning ahead will cut down on a lot of the tension. So will working with professionals. Call our Rock Hill and Charleston local movers to make the process easy. Running out of time: When you hire many moving companies, they may put unreasonable deadlines on your project. This leaves you with little time to pack up. Smooth Move’s mobile moving containers are a great alternative. You can take as much time as you need to pack your container before we move it—or you can have our pros do the packing on a schedule that works for you. Getting cheated: Unfortunately, there are some moving companies with a bad reputation. Read all contracts carefully and make sure your questions are answered. When in doubt, work with a local mover like Smooth Move that’s accredited by the Better Business Bureau. Call Smooth Move today for a worry-free experience. Get a free online moving quote now!